Actor Vishal celebrating his birthday today. On the occasion of his birthday today, the producers have released a new poster from ‘Sandakozhi 2’ and it has gone viral. 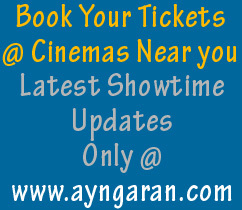 We at Ayngaran wishing the most busiest Actor a Heartiest birthday wishes. 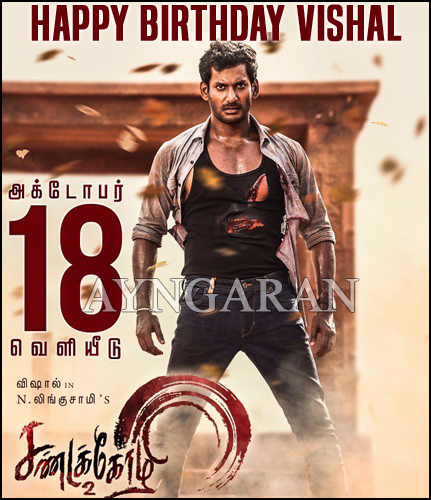 Vishal’s ‘Sandakozhi 2’ first single ‘Sengarttan Paraiyula’ released recently. Sandakozhi 2 (Tamil) & Pandemkodi2 (Telugu) simultaneously big release for Pooja weekend holidays on 18th October. Directed by Lingumsamy which has Jointly produced by Vishal Film Factory and Pen Studio, Sandakozhi 2 will see veteran actor Rajkiran reprising his role from the original 2005 blockbuster, Sandakozhi.